If you know me at all, you know I love pretty much anything nautical! It apparently doesn’t matter that I’ve spent most of my life living in the desert (literally). I still just love the classic and preppy look! One of my friends shared this deal with me, and I quickly scooped up one of the navy bracelets. I just thought I would pass the information along! 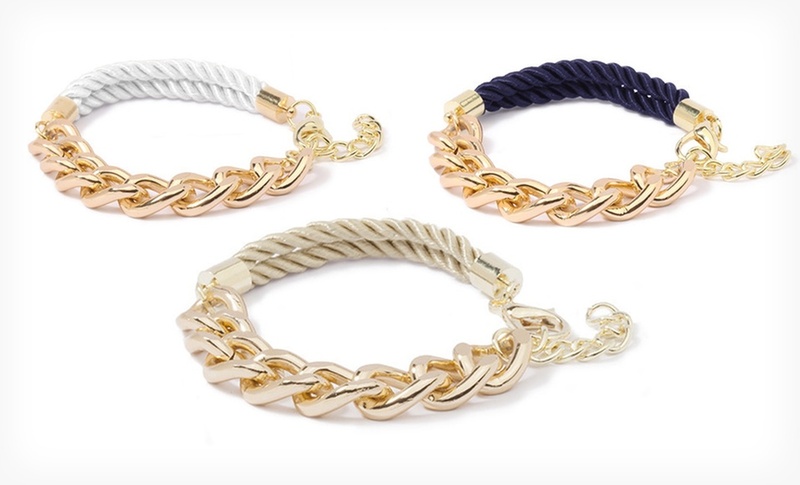 Ashley Bridget nautical bracelets – They come in navy, black, tan, and white! These bracelets have a classic look, and should be pretty lasting. I was especially impressed by the 14-karat yellow-gold plating! It seems like a pretty great deal, too. The bracelet is normally about $50, but with the Groupon you get it for less than $20 and don’t have to pay shipping! I can’t wait to get mine in the mail! Just make sure to hurry, Groupon deals expire quickly! Do you have any good deals that you want to share? Please let us know in the comments!